Lumishine Feisty Color. Fierce Fade Protection. - 14 New Powerhouse Reds - Lumishine Repair+ Permanent Creme Color and Repair+ Demi-Permanent Liquid Color. Discover LumiShine''s PowerHouse collection of super-reds that stay true to tone, resisting the fading effects of everyday aggressors. With a stunning range of fierce tones - from riot red to modern rose to the richest red plum, and everything in between - these bold beauties sound the siren for shiny, healthy-looking, fade-resistant color. Apply with a color applicator bottle, or bowl and brush. (When mixing in a bottle, add developer first, then add color, and shake well.) Process for 35 minutes or up to 45 minutes for gray coverage. Pre-color service: Prior to color application, complete steps 1, 2, and 3 of the K-PAK Professional Hair Repair System. 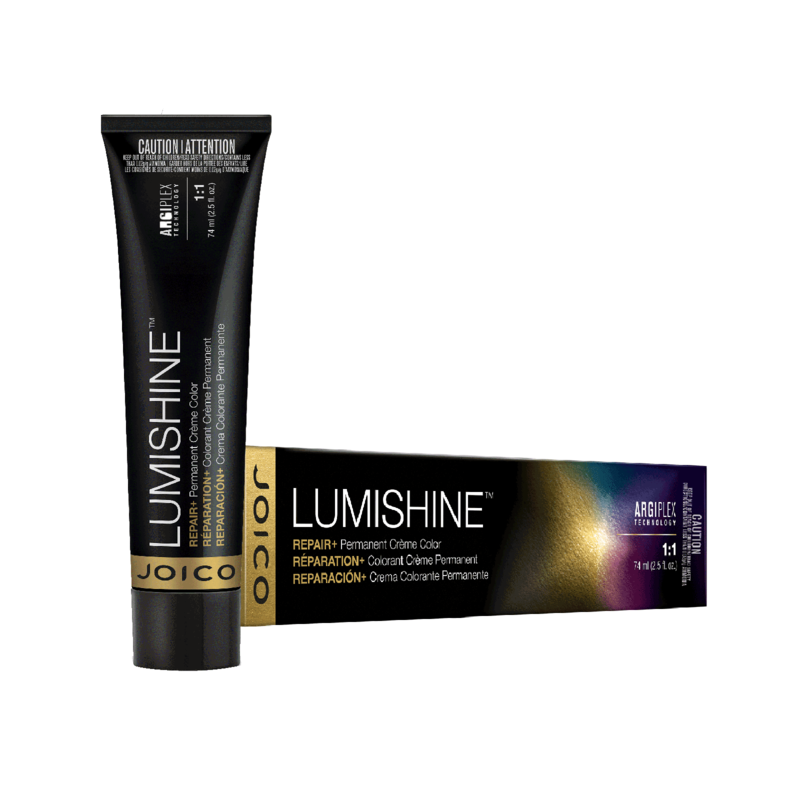 Can also be used with the Joico Defy Damage ProSeries. Refer to the LumiShine Salon Technical Manual for more information. Red Red, Red Red Violet, and Red Red Copper series do not have natural bases; they are not balanced for gray coverage unless a vivid result is desired. Add Natural (.0), Natural Warm Beige (.07), Natural Warm (.077), and Natural Ash (.01) at the same level in the same percentage of gray present. Post-color service: Rinse hair thoroughly. Acidify with K-PAK Professional Cuticle Sealer. Apply K-PAK Color Therapy Shampoo to scalp, massaging well through hair lengths, and rinse thoroughly. Squeeze excess moisture from hair and apply K-PAK Color Therapy Conditioner, massaging throughout hair lengths. Leave in for five minutes, rinse thoroughly. Towel-dry hair, styling as usual with your favorite Joico products. Gorgeous investment reds stay ahead of the game to provide protection a against fade, while delivering the kind of shine, strength, and longevity that these feisty colors demand.